Music is an integral part of life. A favorite song can cheer you up, provide you with inspiration, and even encourage emotions that you can’t easily express on your own. It is such a huge part of everyday life that most of the things we do have something to do with music and entertainment. Over the years, there has been quite an improvement in the way music and videos are created, processed, and consumed. Creating and producing music used to be as straightforward as it was enjoyed. However, in this age, technology has provided the means to enjoy music, movies, and other entertainment media in the most convenient and clever way possible. For example, if you are a music lover, you probably have an app like spotify on your phone that allows you to stream good music anywhere, anytime. You also probably own a set of Bluetooth speakers that lets you play your favorite music loud and clear whenever you want. 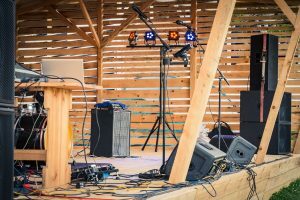 There are a lot of ways to enjoy music these days and at the same time, there are a lot of ways that you can create it. Recording and enhancing audio files used to be a straightforward process. 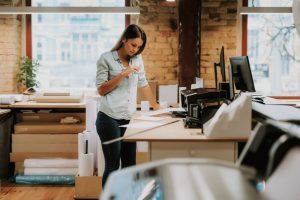 However, the process was limited when it comes to the tricks and techniques that you can apply in order to get the end product that you are hoping for. Aside from that, producing audio with an excellent quality before required equipment that were only available in a professional setting. 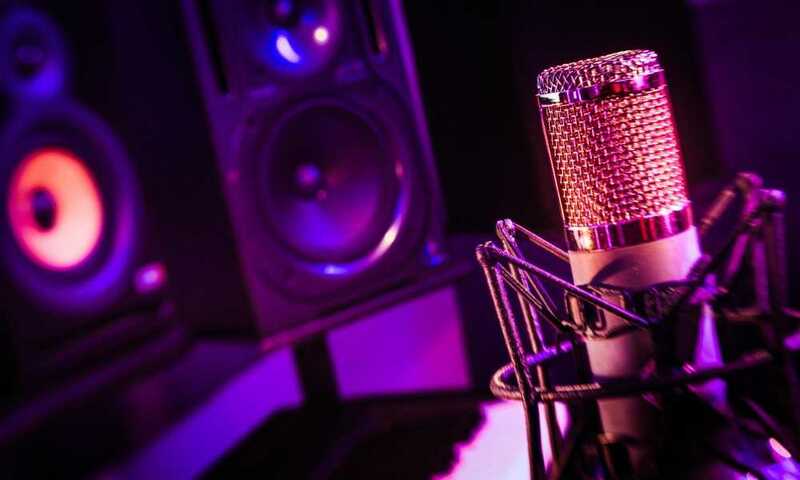 But today, you can create sounds with excellent quality using your smartphone and other dedicated gadgets that you can use at home or in your own little studio. That’s if you’re just doing it as a hobby. 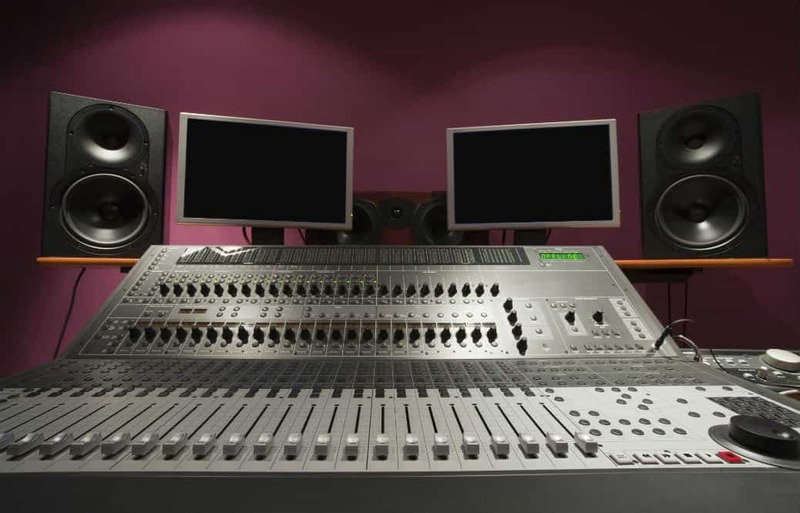 However, if you are serious about your sound mixing project and if you’re planning to make a living out of it or gain a social media following through vlogs, then you need to get serious with the equipment you are using. You can start with the studio monitors you are using. 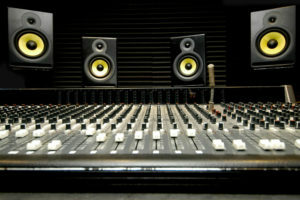 Studio monitors may have the same features or functions as your typical hi-fi speakers at home. However, they have their own dedicated purpose. Studio monitors are more advanced as compared to regular speakers. They are designed for recording studio-level sounds. Monitors provide more precision, allowing you to hear even the transient detail of the audio file. You can then enhance it by targeting the flaws and working on them. That way, when you listen to it on a more advanced speaker, you are confident that it’s as flawless as it can be. ​ Buy the Best Studio Monitors! 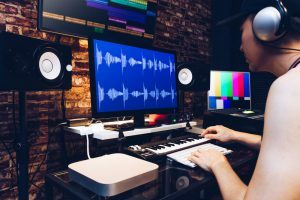 If you are interested in learning how to mix and produce sound using readily-available software that you can download on the internet, you’ve probably thought about using headphones to do the job. While it’s a very reasonable way of doing it, it doesn’t give you as much detail as what you can get when you use studio monitors. 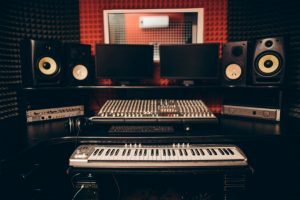 Headphones provide you with a closer perspective and it can be very helpful for sound monitoring but you need actual studio monitors to achieve studio-quality recordings. Studio monitors are designed to be accurate and precise – something that isn’t always available even in the expensive headphones you find in the market. One of the things that you have to put a lot of thought into when choosing a studio monitor is the size. 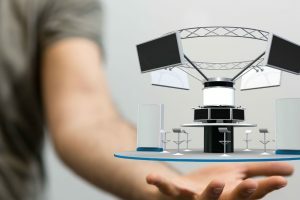 When it comes to the size, you also have to consider the actual size of your room or studio. Average monitor that is needed for an average-sized studio is 5 inches in size. This should be enough to achieve the result that you’re after. However, if you will be working in a bigger room, you should consider getting 5 to 8-inch speakers. You also have to consider the design of your speaker. That includes the interface and the connectivity of the unit itself. It needs to be compatible with different types of electronic devices you will be working on. It shouldn’t be too complicated to operate as well. You need to consider the orientation of the buttons too so you can access them easily while you’re working. Lastly, you need to consider the price of the studio monitor. You have to bear in mind that you don’t need an expensive pair of speakers just to get the result you need. There are some good studio monitors available that you can get for a very reasonable price. You just need to know what you’re looking for and where to find them. Studio monitors can be really tricky and with the number of options that are available right now, you really need some help choosing one. However, if budget is an issue, you can choose one of the good alternatives. The Honstek K7 Bluetooth Portable Wireless Speaker may not be a studio monitor but it works as a decent alternative. With the quality of its design and features, a lot of sound mixing enthusiasts will be surprised by how good it sounds. It has a convenient lightweight construction and a cool design that you’d want to bring outdoors. It may not be a mainstream brand for speakers but with the quality of products it puts out in the market, you can see that Honstek is dedicated to provide its loyal customers with a pair of speakers worth paying for. That is what the Honstek K7 Bluetooth Portable Wireless Speaker is all about. Its clever design and reliable functionality are the aspects that win the customers over. It is not surprising why it got very positive feedback online. If you want to get your money’s worth, only buy the ones that guarantee good performance. Start with the Honstek K7 Bluetooth Portable Wireless Speaker. If you are searching for a reliable set of studio monitors, you might need a little help choosing one, considering the overwhelming number of options available today. 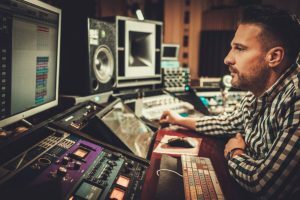 There are several factors that you need to consider while choosing the best pair of studio monitors e.g. the budget and the brand. If that’s the case, you should totally consider the Mackie CR Series CR3. It is one of the affordable studio monitors that you can find in the market. Although it may not be a mainstream brand for speakers and studio monitors, you can rest assured that the quality they provide is worth every penny you spend on their products. While checking all the feedback on the internet for the Mackie CR Series CR3, you can see it’s doing really good as far as performance is concerned. However, it still has some minor flaws that need to be addressed. It has a weaker bass response as compared to some models at the same price point. It also has irregular resonances if it is not isolated properly. Mackie Creative Reference may not be a mainstream brand but it certainly has the ability to produce highly reliable products such as the Mackie CR Series CR3. This pair of studio monitors is definitely capable of producing studio-quality sound that is very helpful for most, if not all, of your multimedia creations. It is designed with premium quality components that guarantee impressive mixing performance. It even has features that are usually found in high-end studio monitor makes and models. If you don’t want to waste a penny of your studio monitor budget, the Mackie CR Series CR3 is the perfect choice for you. Hi-fi speakers are usually just fine when you do simple sound mixing as most of them have the features you will be needing to enhance any audio file. However, if you’re looking to get a pair of studio monitors, it means that you mean business and you need more than just a decent pair to get the results you want. If that’s the case, then you should definitely consider checking the M-Audio AV32 out. There are a lot of things to love about the M-Audio AV32 apart from its very reasonable price. M-Audio is known for designing reliable monitors and the AV32 is a really good example to test its quality. There are certainly thousands of different speakers and studio monitor designs available in the market. If you are looking for the ideal one for your sound mixing needs, it’s going to take a while before you can scour the market for one. The other option would be to stick with the names that you already know. M-Audio may not be considered a mainstream brand but it does put out extremely reliable products. The AV32 is just one example of how dedicated they are in providing the best to all their loyal customers. So, if you want to make the most out of the money you are going to spend, be sure to check out the AV32 before you decide which product to buy. 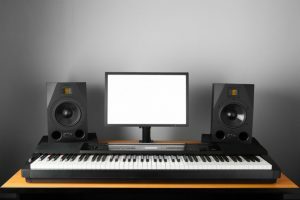 If you have aspirations of becoming a DJ or at least plan on creating beats as one of your many interesting hobbies, then you probably already know the importance of having a good pair of studio monitors at your disposal. You can probably whip something up with just a regular pair of hi-fi speakers but studio monitors just give you more opportunities to explore and enhance the audio file that you’re working on. Well, you can’t risk buying a pair without being sure of the performance that it’s going to give and the quality of sound it can produce. If you’re not sure which one to pick, then check out the PreSonus Eris E4.5 Studio Monitors. It is both functional and reliable – not to mention affordable. It is one of the bestsellers in the market and for good reasons. The PreSonus Eris E4.5 Studio Monitors prove that you don’t need to spend a lot of money just to be able to get yourself a decent pair of studio monitors. With the Eris E4.5 Studio monitors, you can have a functional and reliable studio monitor that you can use to create new sounds and enhance existing audio files. This is designed for sound mixing, allowing you to hear even transient details. For a very reasonable price, you can have a pair of studio monitors that will not let you down. Decent studio monitors that are functional and capable of producing high-quality audio projects can be extremely hard to find. Well, if you have lots of extra cash to spare for a very expensive, high-end brand, then you won’t have as much trouble. However, if budget is limited, you may have to compromise on some features. However, it doesn’t mean that you can’t find one that is ideal and is available at a very reasonable price. But, if quality is of utmost importance to you and budget is not an issue, then you can just choose a brand you can trust and a brand like Yamaha never disappoints. The Yamaha HS8 Studio Monitor is designed for excellence and has all the features needed to get the job done. Yamaha is a popular brand and is known for all the good reasons. Its designs are very functional and extremely reliable. Every product they put in the market shows quality and excellence – something that they have been very consistent about for decades. When it comes to products like studio monitors, you can never go wrong with a Yamaha product. Speaking of which, the Yamaha HS8 Studio Monitor has everything you are looking for in a pair of studio monitors. It may be very expensive as compared to other brands, but the excellent quality is guaranteed.